Serendipity can bear such wondrous gifts. If there is a place along the Batanes coast where a photograph of a grand landscape can be had, the stretch of mountain road just past the town of Chanarian is certainly one of them. Just make sure you look back towards Mt. Iraya as you climb up that hill, or you'll miss it for sure. We would have missed it ourselves if not for the beeping sound from text messages streaming into my phone. You see, the mobile phone signal along that side of the island was spotty. But as we climbed up the hill, our phones came to life. Anxious to make the most of this higher vantage point, we decided to stop awhile to download our mail. And that's when I looked backwards to see this wonderful scene staring back at me. What a thrill to discover a scene you didn't expect, quite by accident. Enjoy. Nice place. 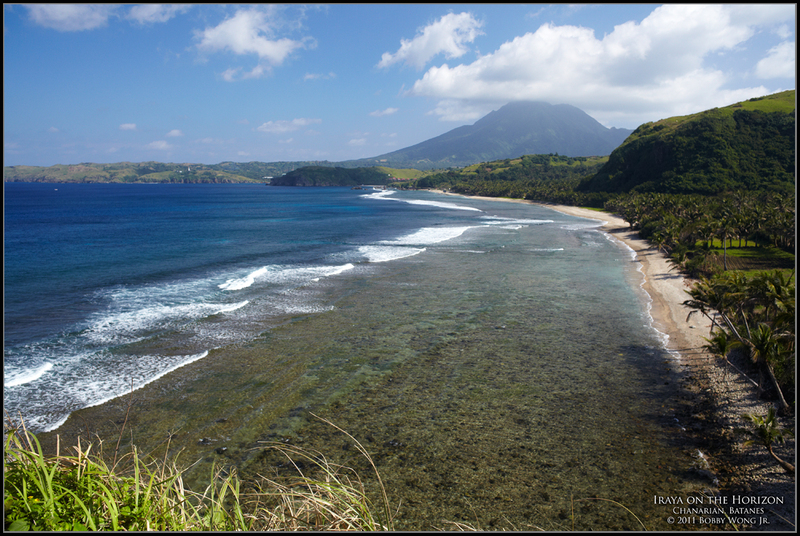 I'd love to go to Batanes one of these days. Can you recommend a good travel agent?